Looking For Printing Equipment Supplier? 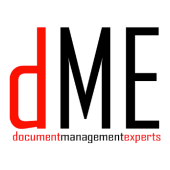 Welcome to Document Management Experts - printer and photocopier resellers for Perth, Western Australia businesses and organisations. WHAT MAKES US DIFFERENT FROM THE REST? DME have chosen the best quality product and back up service in the industry in Western Australia and this relationship allows us to be more agile to respond to what you need. DME are small enough to care and each staff member is hand picked with that in mind. WHY CHOOSE DME? Our Managing Director has worked in senior roles for Canon, Konica Minolta, HP and Fuji Xerox for over 28 years, he knows what these companies are good at and where they struggle. DME was formed to ensure our customers receive the best of the best in product and service as well as billing, account management and to work with you to find a product or group of products that takes the pain out of your document management. OUR PROMISE TO YOU Our aim is to provide you, the customer with high grade solutions along with efficient, friendly service and support. This is something we are very passionate about and will do our best to exceed your expectations.